How do you overcome challenges and reduce risk throughout the startup journey? 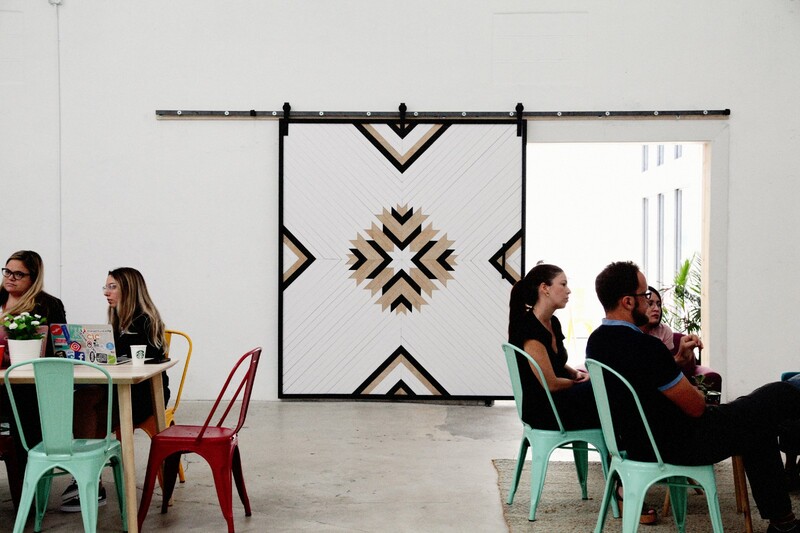 How do you help startups get closer to success without slowing down? How do you know which stage you’re in and what the next step is? These questions can all be resolved by using a roadmap with steps, stages, and milestones that will help you understand where you are at all times without losing focus. And never forget that a company that has been recently started and a startup are not the same things. In the United States, where there has been venture capital activity for more than 60 years, they have followed the same pattern when defining the three riskiest moments for a startup. First, the idea has to be validated. Then comes finding Product/Market Fit (PMF), where it’s decided if a product fits a market or not. Finally, it needs to be tested if the product could have a profitable, scalable distribution. 1) Idea Validation >>> 2) Product/Market Fit (PMF) >>> 3) Scalable Distribution (Sales). The order of the factors DOES change the product! Source: Pear.vc — Shout out to Mar Hensherson! In the graph above, you can see how in the last few decades the type of financing that a startup looks for in each stage has changed. This change has been acute, especially in the software (digital products) industry. These days, launching a software startup requires much less capital in the early stages than ever before. However, during the stage of explosive growth, the need for capital is increasing, which is the reason for larger rounds during this stage. Source: UpFront Ventures, TheVentureCity Analysis. The first startup stage is the ideation of a simple product with the minimum features needed to satisfy a demand from users/clients. This product is also known as a minimum viable product (MVP). It’s highly unlikely that the initial idea comes close to the final MVP; that’s why the Lean Startup methodology has been so successful. During this stage, the key is to learn what the user or client wants without obsessing over a “perfect” product. To quickly prototype an MVP, I recommend checking out these tools, words of advice, and ways to test it. If an MVP doesn’t allow you to test the idea, you could also build a fake site that validates your hypothesis. That is one of the best ways to reduce risk during the Idea stage! During this stage, which can last several years, an MVP is developed until it is turned into a scalable product that satisfies the needs of its users or clients; in other words, an MVP is developed until it finds Product/Market Fit (PMF). There is lots of literature on Product/Market Fit, but not a lot of it quantifies and explains precisely what metrics are needed in order to achieve a solid PMF. I recommend reading articles by Christoph Janz (SaaS), Andrew Chen (b2c), and Horowitz. Ideally, while you’re trying to achieve the PMF, and if the product has recurrent customers, the company can generate revenue, which will help define its business model. This step is vital in order to reduce risk, especially if the product is creating a new industry category. The more information you gather regarding the potential success of the business model of your startup, the less risk you run and the higher its economic valuation will be. Finally, in this stage, don’t worry if the development of your product requires processes that are not yet scalable. In this new stage, the main challenge is demonstrating that the product can actually be distributed in a scalable and profitable way. 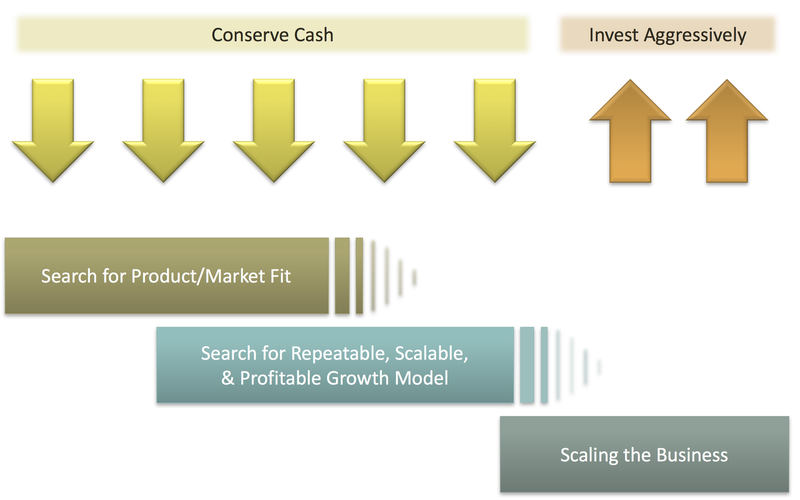 Scaleup = Product Market Fit + a distribution model that is scalable and profitable. Once it’s been proven that the product can be distributed at a large scale, the CEO’s main objective is to prepare and optimize the business model in order to multiply the volume of this stage in the least amount of time. Basically, you should try to grow while being efficient in the way you use your capital in the following rounds. That is why the “unit economics” of the business model in this stage become relevant. In the previous stages, the unit economics are typically estimated. At this stage, the estimations tend to lead the way to real numbers, which are related to the company’s ability to generate cash flow in the future and will impact its economic valuation. From that point forward, thanks to new rounds and stock options, the company’s management team tends to be reinforced with VIP signings. Generally, startups that become scaleups have 10+ employees, an annual turnover of $1MM+ with a 20%+ growth rate, and around $1MM in investments. Even though these can also play a role in the previous stage, venture capital funds are very active at this point. They look for strong growth rates in a very short amount of time. VC is all about turning growth into IRR, relative to the exit multiple! — and a bit of luck. That is why we have a Product, Growth, and Engineering teams at TheVentureCity that help us increase our portfolio as quickly as possible (see here), strengthening its probability of success. So why is it so important for you to demonstrate that your product, which already has a PMF, can indeed be distributed in a scalable, profitable way? If this milestone is not achieved, it means the startup is not ready to scale and move to a stage of high growth. It could be a big mistake to go through rounds to aggressively grow the startup without first achieving this milestone. Imagine investing $50MM+ in startups with unit economics that aren’t profitable. A couple years ago, I was able to meet Jason Goldberg at INSEAD, where he gave his first public talk after Fab went bankrupt. Fab was one of the startups with the biggest growth globally in 2010–2015, more than $300MM in VC investment, and economic valuation of over $1Bl. When we asked what he felt was his biggest mistake, he said that he didn’t realize in time that his business model wasn’t ready to scale globally, when fundraising in Series C and D. You can read his post-mortem here to learn from his experience. At this stage, the company knows how to generate benefits and conquer markets, but sacrifices its profitability in exchange for growth and getting to new markets before its competitors. For this reason, there shouldn’t be any doubts about the business model viability in this stage — and, technically, the company will no longer be a startup. The type of problems that the CEO faces in this stage is different from previous ones, the funds that tend to finance this stage are also different from venture capital; they are called Growth Capital. Finally, I’d like to share with you a summary of the different stages and their milestones. I hope this helps! That’s all, folks. May The Force and recurrent customers be with you! We are a new venture and growth acceleration model that helps diverse founders achieve global impact. We are on a mission to bring equal opportunities to entrepreneurs around the world.